I shall. It’s off to a good start! Kiritsugu Emiya – Master of Saber, the seemingly completely ruthless and merciless ‘mage killer’ hired by the Einzberns to participate in this 4th Holy Grail War. Father of Illyasviel, and husband of Irisviel, an Einzbern homunculus that he believes he will have to ensure the death of for his goal. Scared of Kirei Kotomine. Has shown something of a softer side. 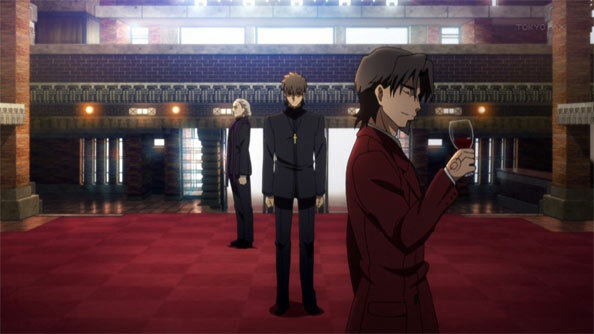 Kirei Kotomine – Master of Assassin, Hassan-i-Sabbah. Grim Church executor whose wife recently died. You may notice that he doesn’t smile a single time during this episode, whereas in Stay Night he was smiling constantly and was also evil. At present he is Tokiomi’s loyal pupil, conspiring with him and his father the church overseer to ensure his victory. I wonder I wonder how he becomes the man you see in Stay Night. 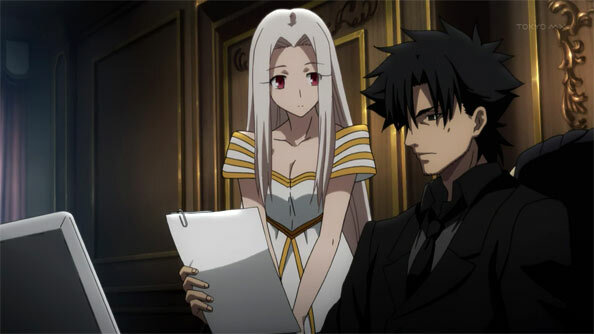 He’s certainly intrigued by Kiritsugu. Just what is his wish? Tokiomi Tohsaka – Master of a certain red eyed OP blonde Archer you may recognize from Stay Night. 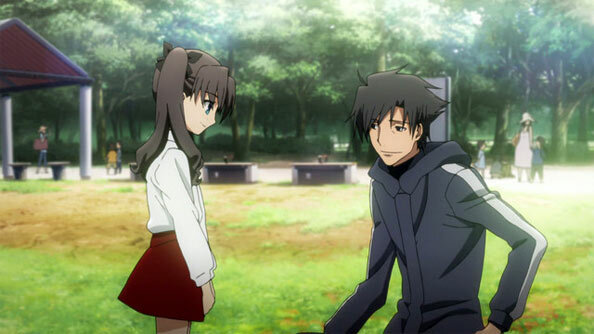 The elegant head of the Tohsaka family, husband to the demure green haired Aoi Tohsaka and father to Rin and Sakura. Gave Sakura over to the Matous that she would be able to be a mage, but perhaps there are deeper reasons. Determined to win the war, such that he’s conspiring with his father’s friend Risei Kotomine. Teacher of Kirei. Kariya Matou – Master of Berserker. Childhood friend of Aoi who ran away from his family responsibility to the Matous, which is pretty fair because the Matous are a bug hellhole, inadvertently opened up a spot for Sakura. Holds a very great fondness for Aoi and her children, if certainly not the person Aoi ended up marrying. Has thrown himself back into hell for the sake of saving Sakura from the Matous. Waver Velvet – Master of Rider. Young upstart with aspirations of glory; he’s only 19 but looking to make his mark. Currently living with an elderly couple he’s hypnotized. Probably in over his head. And there’s still one more Master and two more Servants that have yet to take the stage; Zero is a lot of fun. As a side note, I’d perhaps recommend giving Apoc at least its third episode, because things only continue to improve as the pieces settle in (and the continuity with Zero and SN increase every episode). Fight quality improves too. Thank you for the succinct notes! It’s a pretty good group of players. 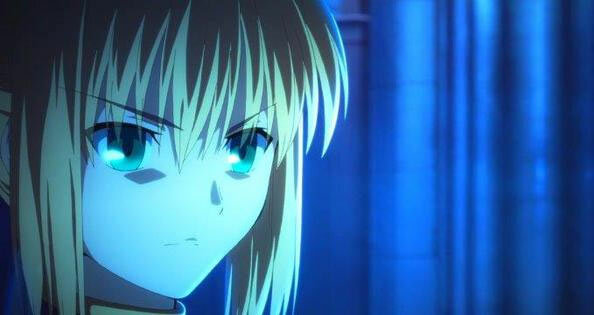 A common argument made by Stay Night purists when someone comments that Fate Zero is a lot stronger than the UBW adaptation is that Gen Urobuchi did nothing of significance for the story since Kinoko Nasu already laid the story as part of FSN’s backstory. I definitely disagree with this, since Urobuchi did a lot in making the Fate-verse lore more accessible to non-fans. Most of the adaptations, particularly the UBW series, have this “for fans only” air to them, where you seemed to be required to know the whole Fate mythos before watching (or you’ll have purists screaming “You should play the visual novel to understand it!”_. Zero doesn’t have that and actually uses only the parts of the lore that is directly relevant to its plot. Thus,, the explanations feel more comfortable than the usual convoluted infodump other Fate adaptations and spinoffs are notorious for. There is also the added bonus of FZ’s characters being a lot more engaging since Urobuchi was actually able to flesh them out better. Case in point: Gilgamesh in Zero was a lot more interesting in Zero than he was iin the UBW series, since he was presented as more than just a cackling arrogant villain in the former compared to the latter’s portrayal. Just a couple episodes in and Zero already feels quite accessible, and I definitely agree that the characters are immediately more engaging. I’m able to focus less on keeping the nitty-gritty details of the mythos straight (though my understanding grows organically with each episode) and more on simply enjoying all these different colorful, complex characters bounce off each other. I’ll also add that the score by Kajiura Yuki (Noir, Kara no Kyoukai, Madoka Magica) is excellent so far.